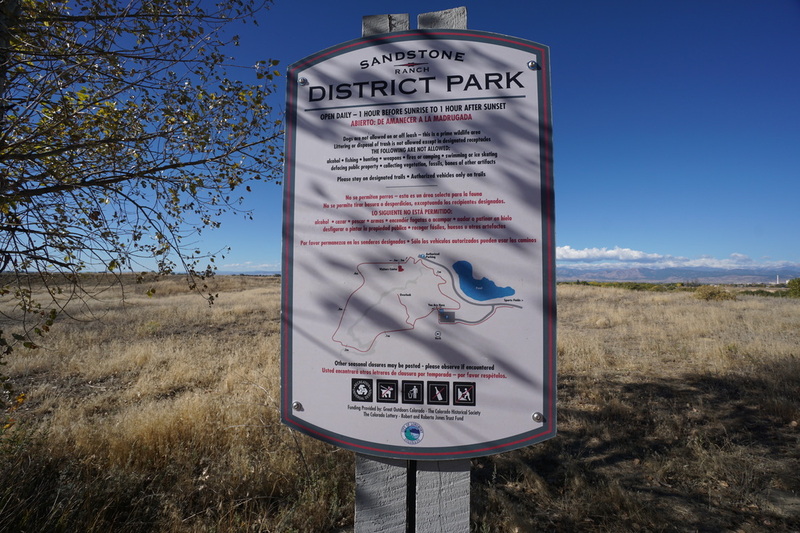 Directions: From I-25 head west on Hwy 119 and turn left (south) onto Sandstone Drive. 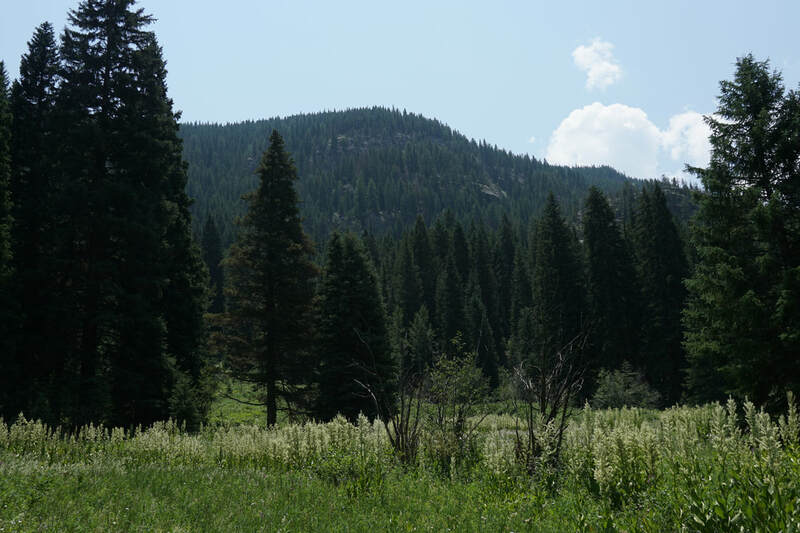 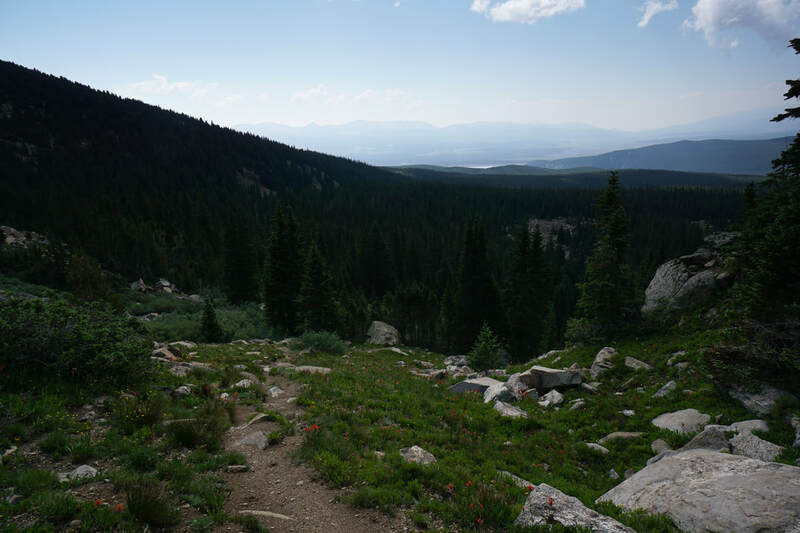 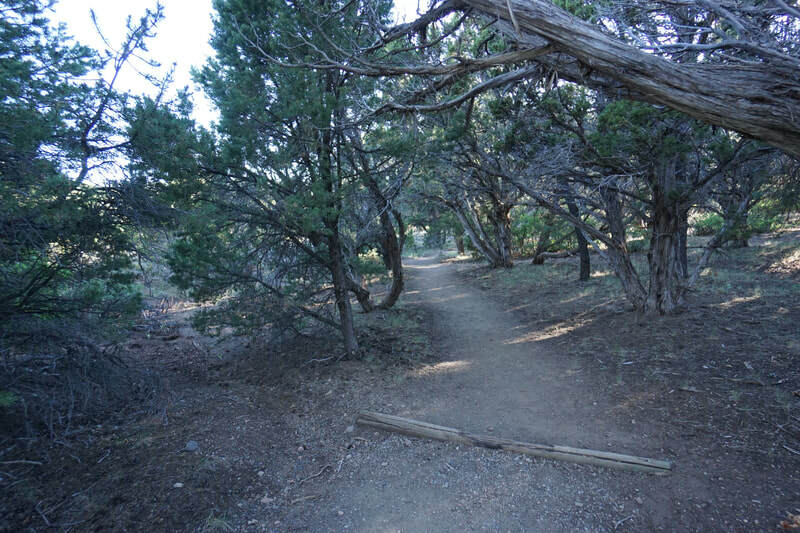 Follow the road past the fields and picnic areas to the end of the road and the trailhead and large parking area. 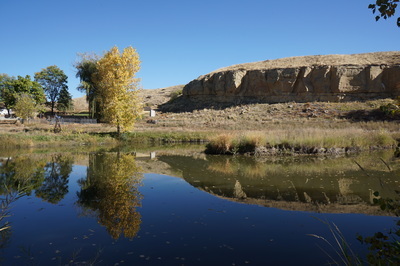 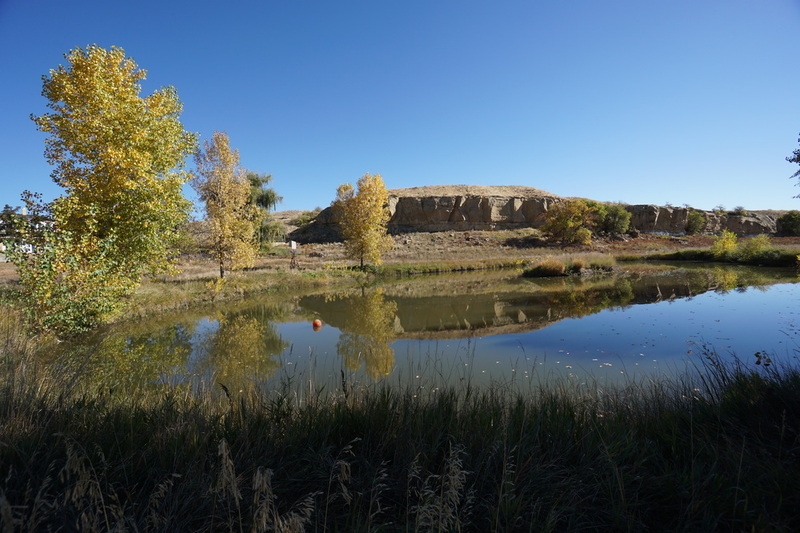 Sandstone Ranch is a popular park with ball fields, multiple playgrounds, a skate park, and on the south end, an easy but pleasant 1 mi trail and historic house turned visitor's center. 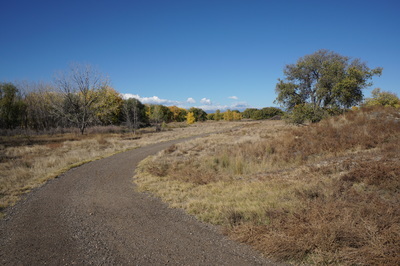 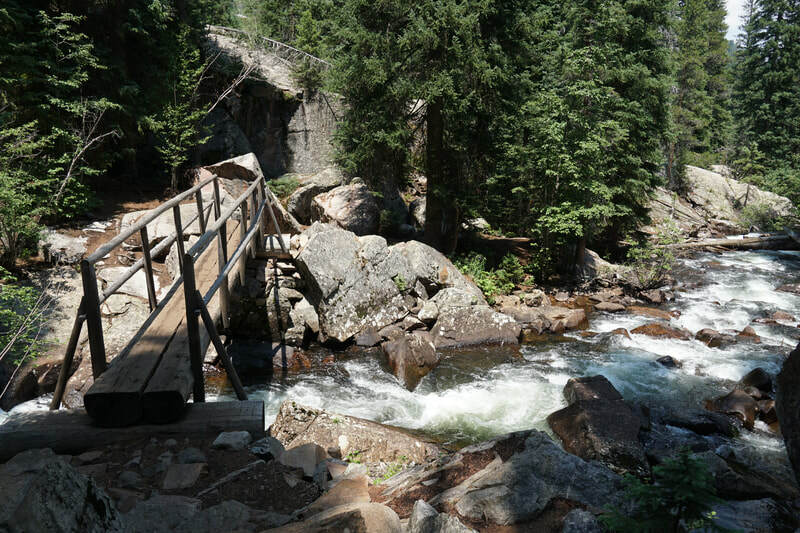 The trail connects to the St. Vrain Greenway providing longer hikes as well. 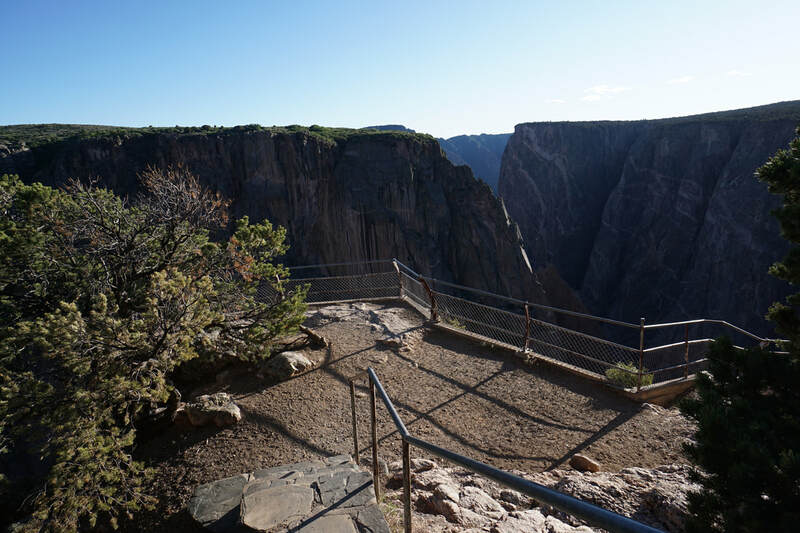 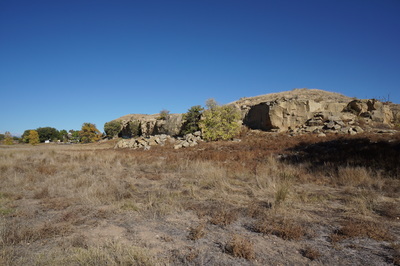 The trail starts on top of the sandstone bluffs that give the park it's name and a short spur trail leads to a magnificent overlook. 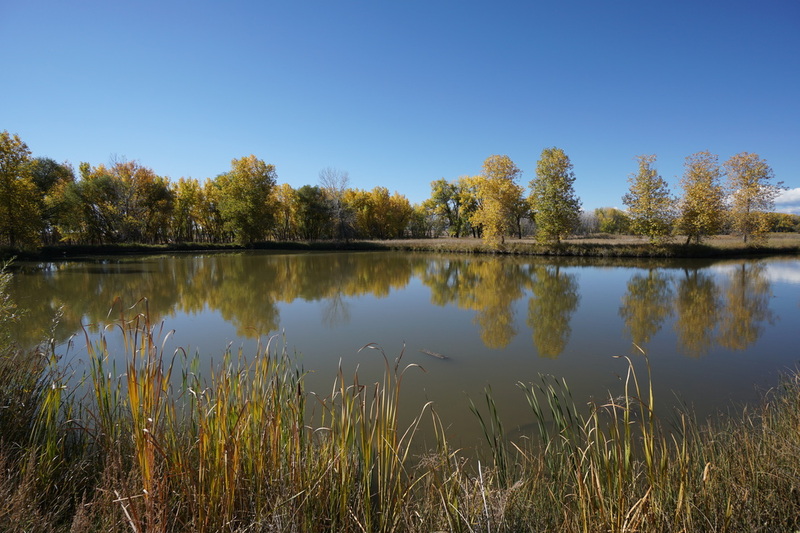 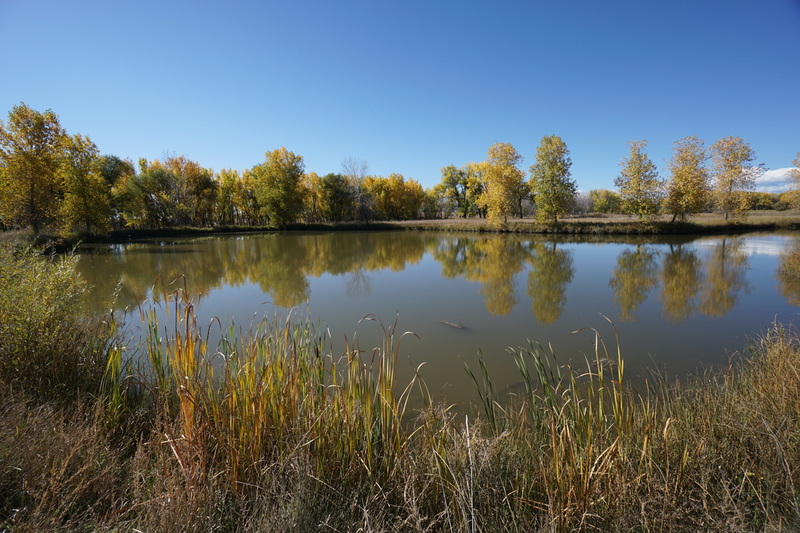 From the overlook you are treated to great views of the ponds, the St. Vrain river, and the Front Range Mountains beyond (Longs Peak taking center stage). 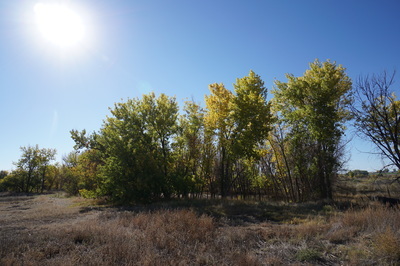 The trail then continues down to the river's edge and a nice grove of cottonwood trees, with wonderful fall colors. 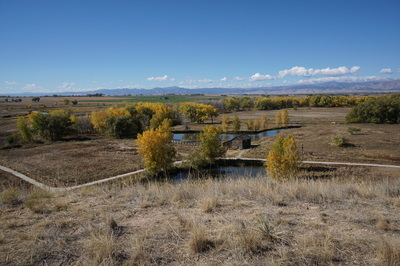 The trail then leads to a small pond with a good view of the bluffs and just across the trail, an old historic barn and another, larger, pond. This pond is one of the nicest parts of the hike and a great place to relax. Following the loop leads you to the old house, cemetery, gardens, and the visitor's center. 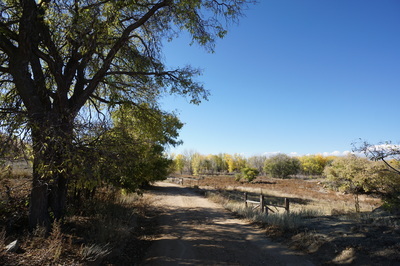 Continue past the visitor center along the road to the trail leading back up to the top of the bluffs and the trailhead. 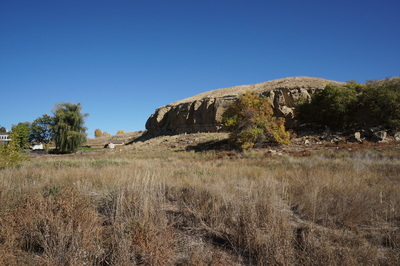 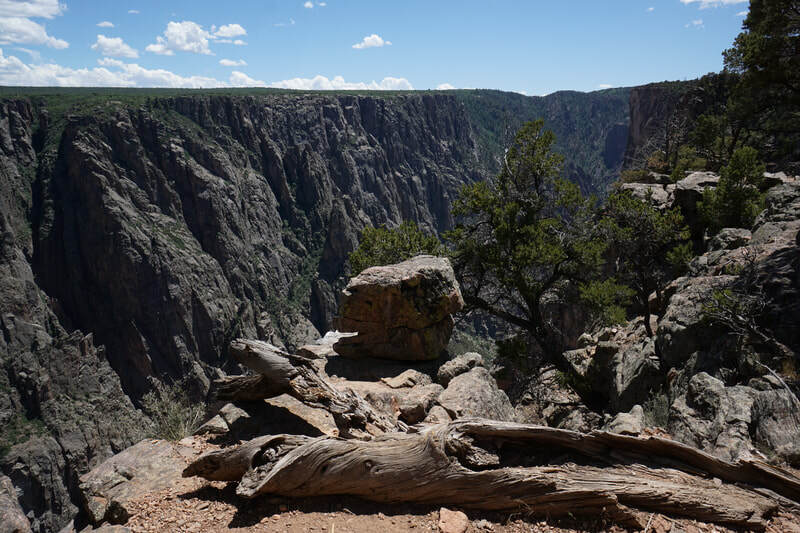 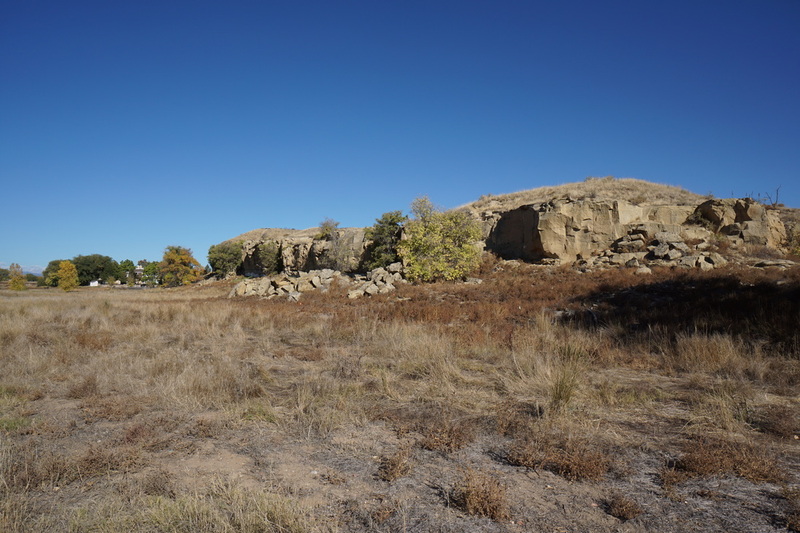 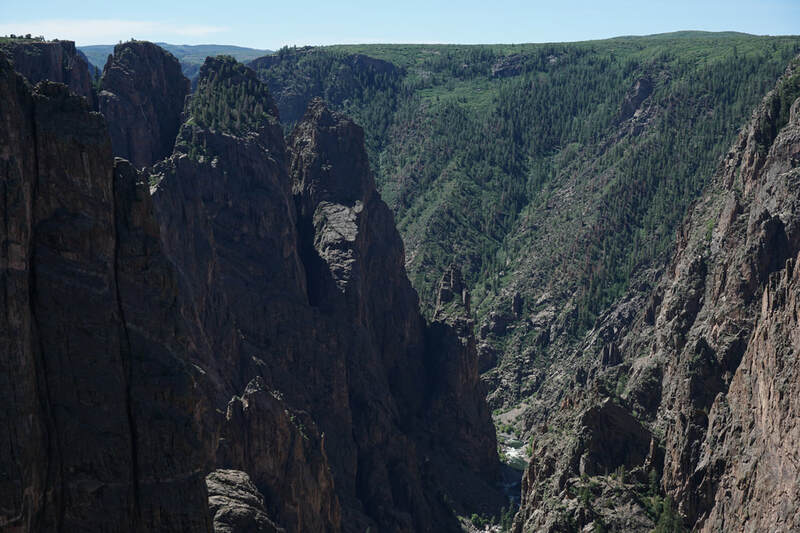 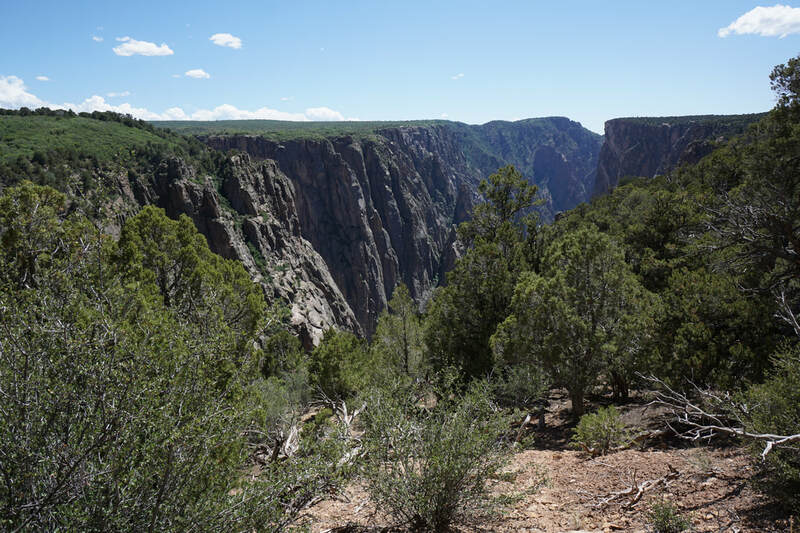 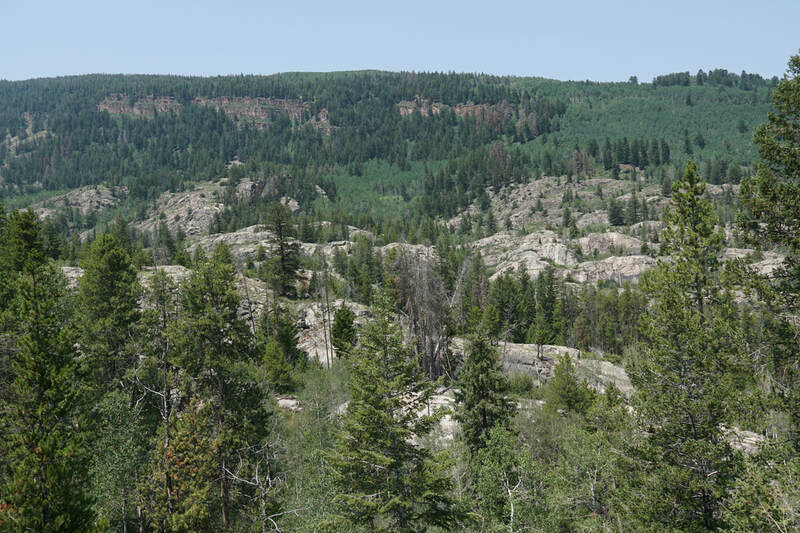 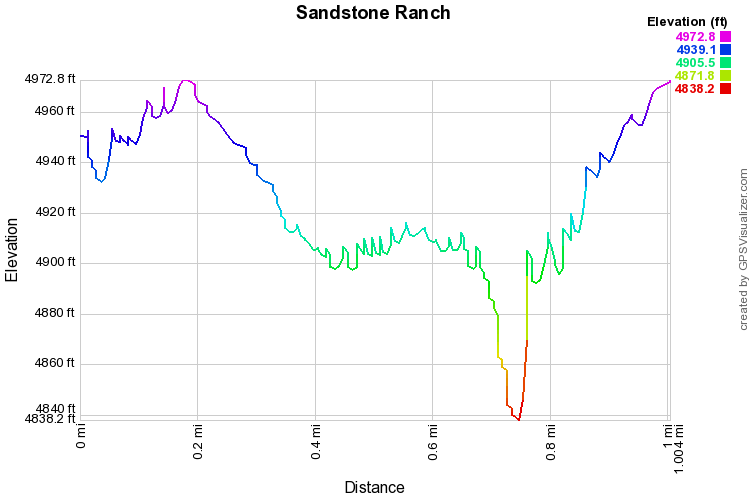 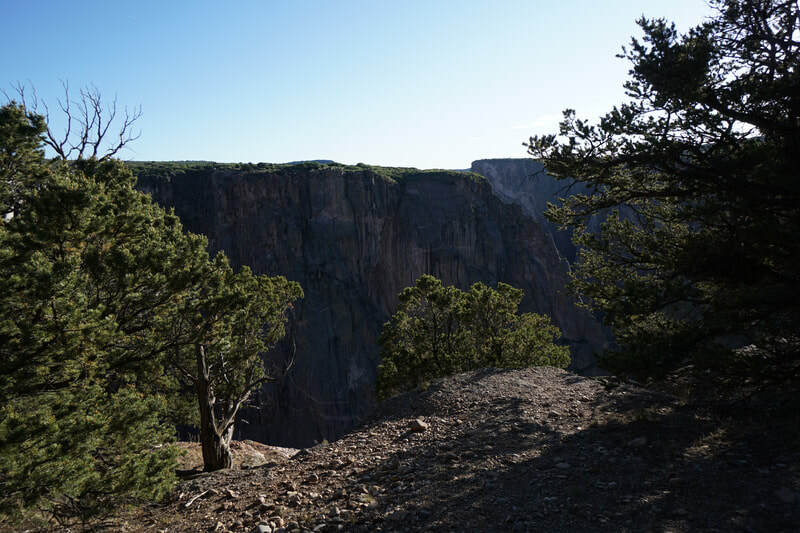 Sandstone Ranch is an easy pleasant hike great for kids and great for fall weather. 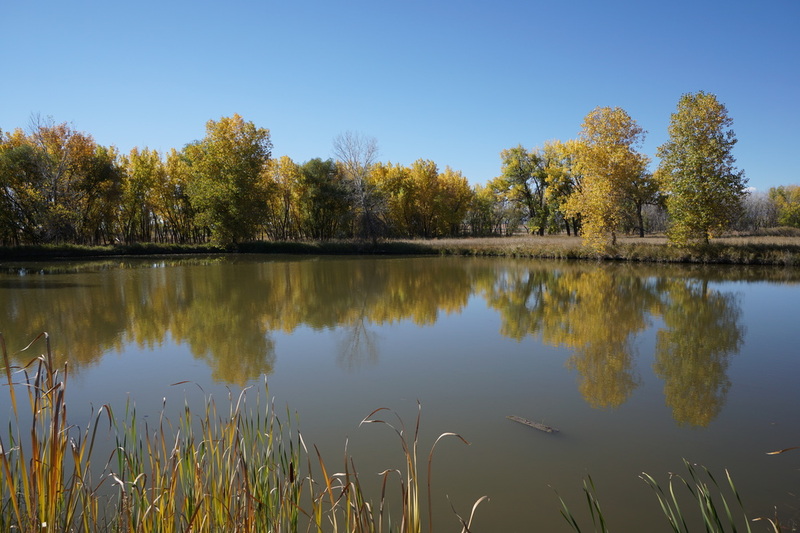 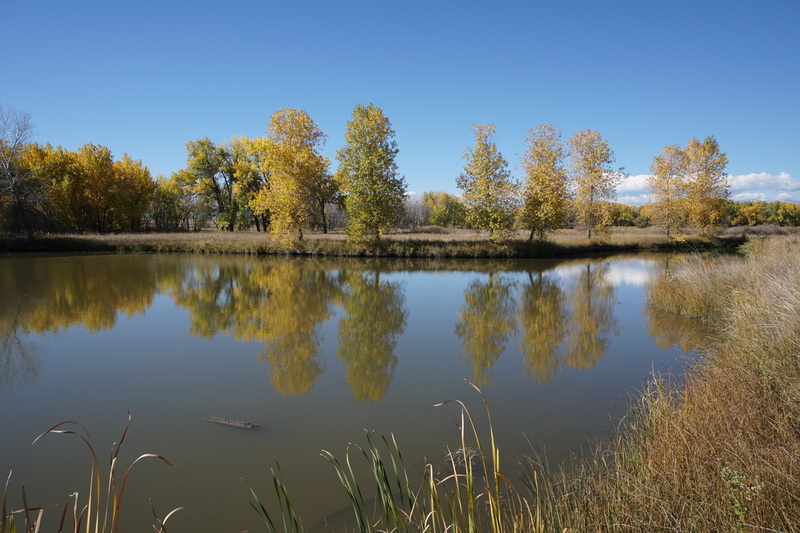 I highly suggest exploring the St. Vrain Greenway, especially in the fall as the majority of the trail follows the river and colorful cottonwood trees. 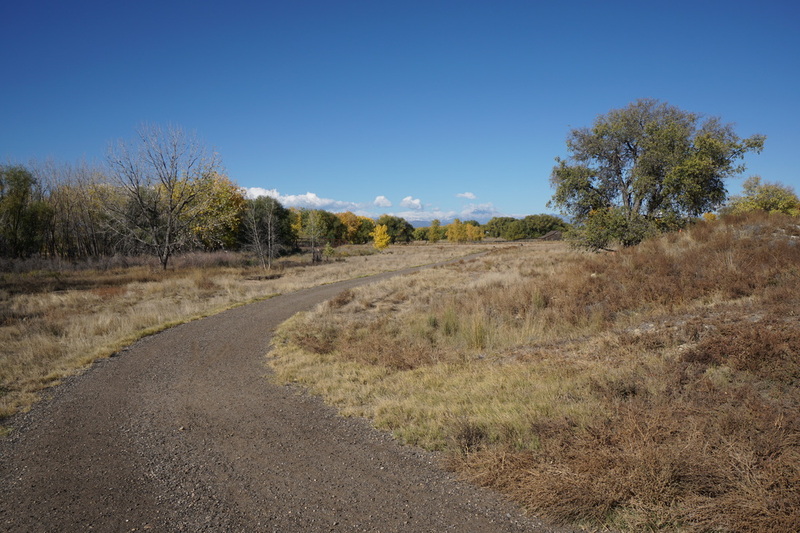 However, as of this report, access to the St. Vrain Greenway is closed. Check with the City of Longmont before heading out to see if it has been re-opened.